We consulted our notes. To the left, through the trees, down a set of stairs conveniently built into the side of a hill. Follow the trail to a…road. Dead end. Retrace our steps. Reset the GPS. Try again. 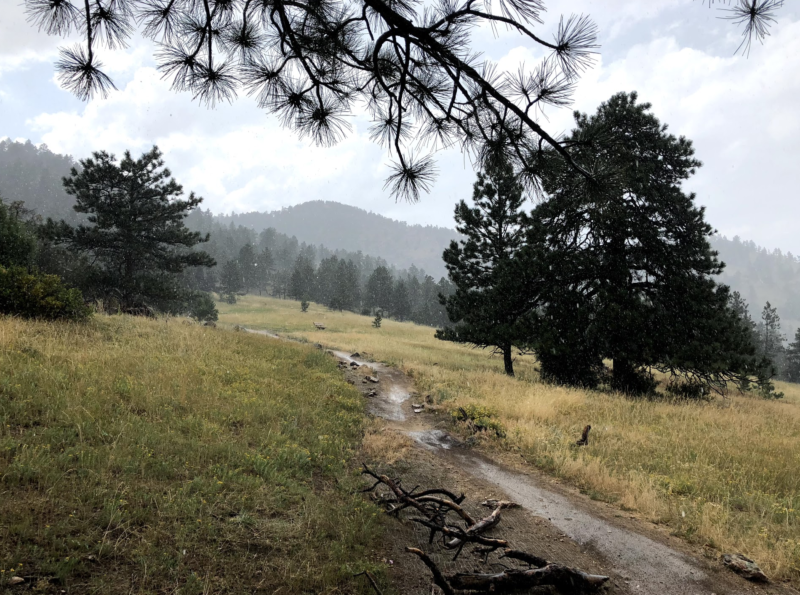 Writing a guidebook, a trusted resource to lead you through the backcountry and day-use areas, through historic neighborhoods and over mountain passes, on easy trails and almost non-existent trails, is hard. I have been working with guidebook authors for over four years and never quite understood what it takes to write a guidebook. Until now. Mindy Sink is the author of Walking Denver and is currently revising 60 Hikes Within 60 Miles: Denver/Boulder. Which actually means going on closer to 70 hikes, selecting the best of the best, rating them in various categories, mapping them, and writing about them. Whew. 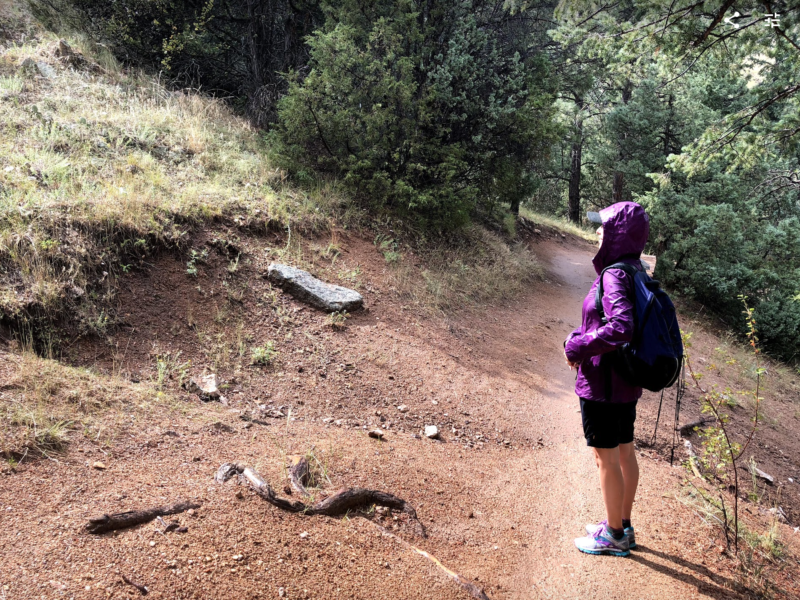 I used my time at Outdoor Retailer in July as an opportunity to go play—I mean, go on an educational excursion to observe what researching a hike entails. 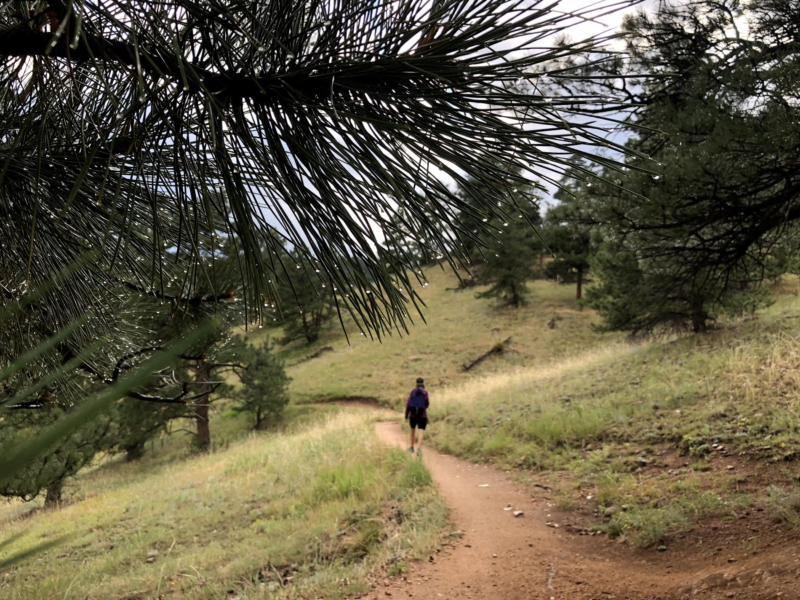 Mindy and I drove away from Denver (but still within 60 miles, of course), above Boulder, and out to Betasso Preserve, a scenic and easy trail system for hikers and mountain bikers and mountain lions alike. It was slightly damp outside, so Mindy and I donned our raincoats (why you should always come prepared!) and set off on our loop. In the wrong direction. 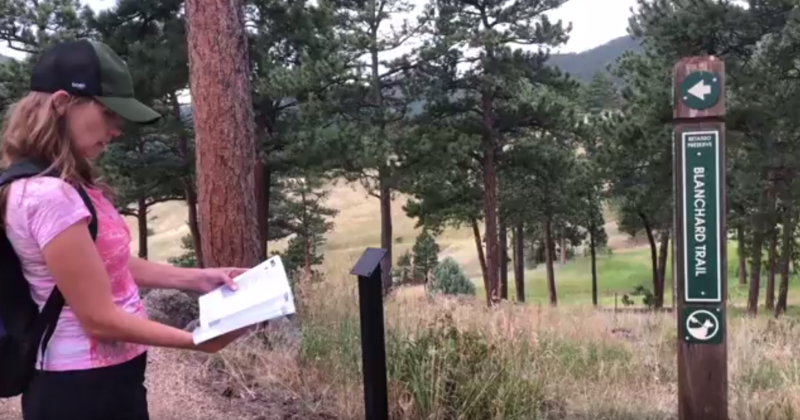 Which is a great example of why it’s difficult to be a guidebook author—they make wrong turns so that you don’t have to! 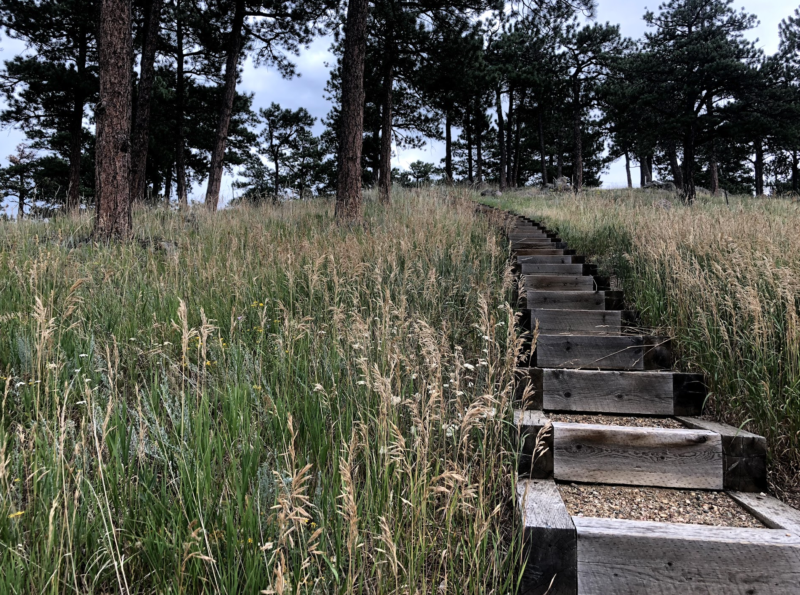 As far as hikes go, the Betasso hike was an easy one to research. 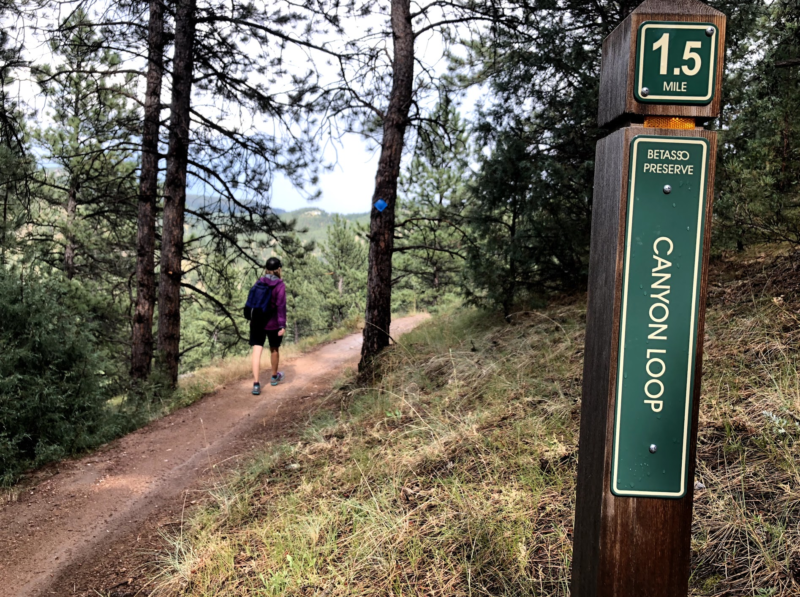 It’s one big loop on a well-marked and well-maintained trail. We would pause every few minutes so that Mindy could consult her GPS and previous edition of the guidebook, making note of any changes. I have the easy job of soaking in the views while taking photos and videos. 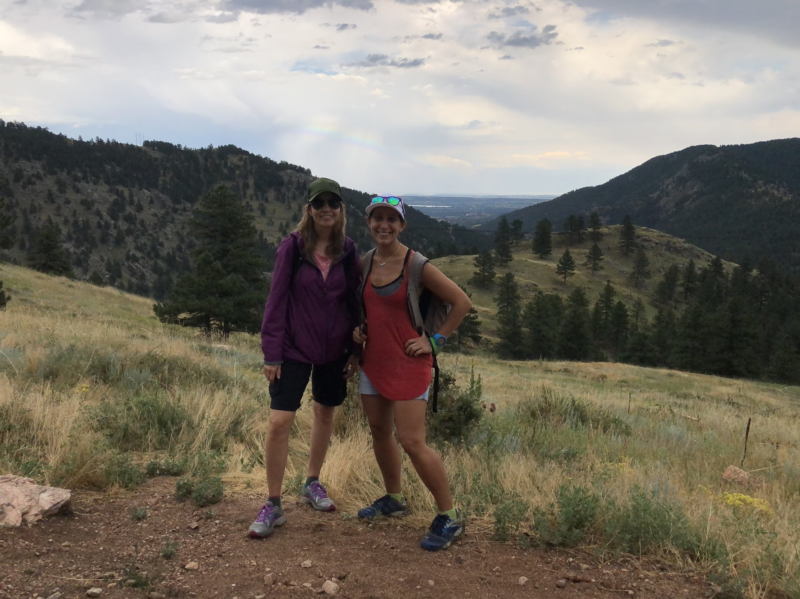 I also questioned Mindy incessantly about the particulars of researching a hike—how do you select the various ratings, do you use a thesaurus to vary your descriptions, do you ever give up mid-hike, how do you not get tired of hiking? It rained a little, then it rained a lot, then it stopped raining and as if on cue, a beautiful rainbow stretched over the view of downtown Boulder. We saw a variety of late-season wildflowers, families of deer, and some interesting moss. 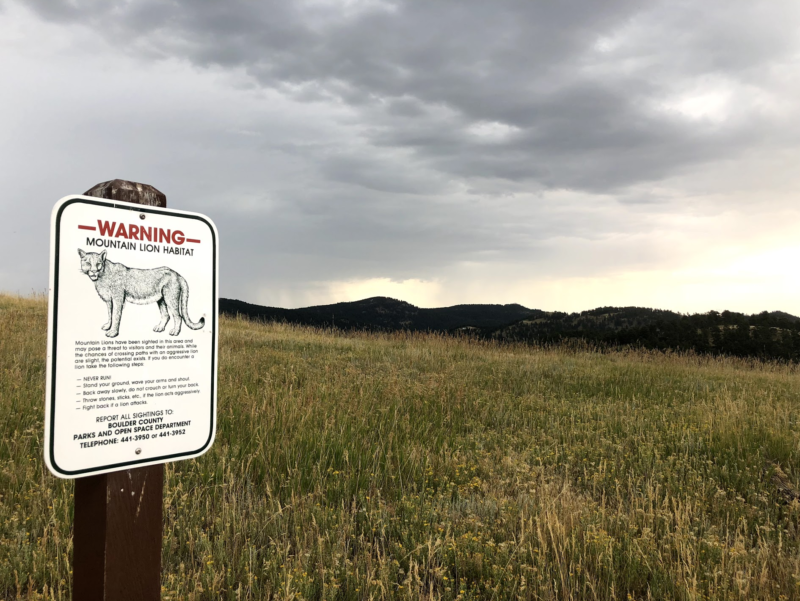 We saw zero mountain lions. 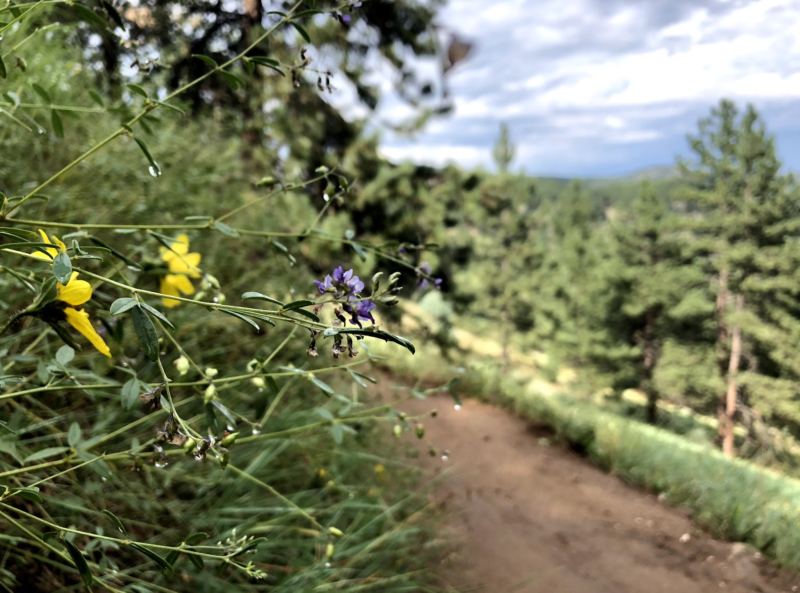 Late season wildflowers gracing the trail. Hiking with Mindy was eye-opening. I now have a greater appreciation for the books I hold in my hand when I set off onto the trails. This hike may have been simple, but there’s always some risk involved when you venture into the wilderness. Guidebook authors have a great responsibility to be as accurate as possible and to have precise mapping to keep us safe. #Nopressure. Also, it’s hard to take jaw-dropping photos of every trail that distinguish it from every other similar trail nearby. Take it from me.